Two of my brothers killed by a coward. They did not know me or did I know them personally, but they were my family. I will shade tears for them I will grieve for them for they were my brothers. Rest in Peace brothers. YOU WILL NOT BE FORGOTTEN! RIP! You'll never be forgotten. Prayers to your family. Rest in peace. Prayers to your family, friends, and colleagues. Rest peacefully, we'll take the watch from here. ret. Port Authority of New York & New Jersey Police dept. When will this end? Probably never. The tragedy is only heightened by the fanning of flames by your mayor only a few days prior. Brother, may God Bless you and keep you and may you forever Rest in Peace. I am deeply saddened by the coldblooded, senseless assassination of these brothers. The sick person that committed these acts is no hero, I will not repeat his name, and he should not receive recognition for this shameful disgusting act and remain anonymous. My condolences to officers Wenjin Liu and Rafael Ramos’ families may they find peace and resignation. Words cannot express the grief I feel after learning of your ultimate sacrifice. Such a senseless end to the life of one of God's children. My heartfelt thanks to you for all that you accomplished as a cop and a man. You made people like me feel safe at all times, even though it is unlikely that we ever crossed paths....that doesn't matter, since what you represented was truly honorable. Rest In Peace, P.O. 's Liu and Ramos. May God be with you and your families at this time of sorrow and need. God Be with you 'til we meet again. Rest in peace Brother Wenjian, you are a true Hero and will never be forgotten for your service and courage. Rest In Peace brother. I still remember walking a foot post with you in the 73pct. Ill never forget you bro. I will lift up my heart to the Lord for he is my strength Rest in eternal peace. Thoughts and prayers are with both of your families. God be with you and may he bless the Officers of the New York Police Department, as well as all law enforcement officers across the United States. Your family and friends are in my prayers. Rest in peace. God bless you and your partner. Its not how guys died that made you heroes. It is how you guys lived that made you heroes one. See you guys at the next roll call in heaven. Lisa Sterr, Asst Chief, Ret. Our prayers go out to your family, both blood and badge. We will take the watch from here. Brothers thank you for your service! As we continue to move forward in this crazy world, which took your lives! As you take this time as Rest In Peace, we will take it from here! My deepest condolences to the NYPD and families of these officers. My thoughts and prayers are with you all during this difficult time. 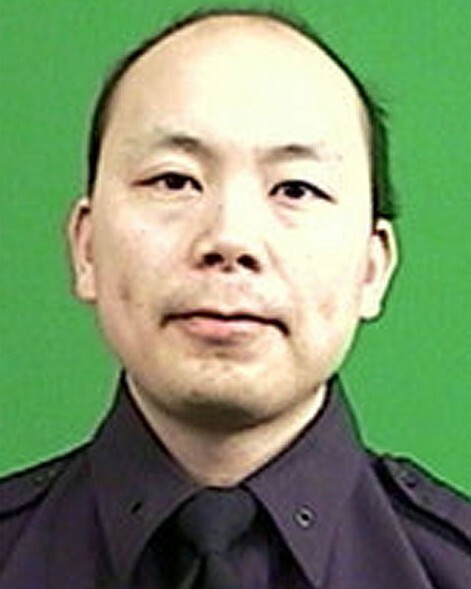 Thoughts and prayers to the Liu family and the NYPD.